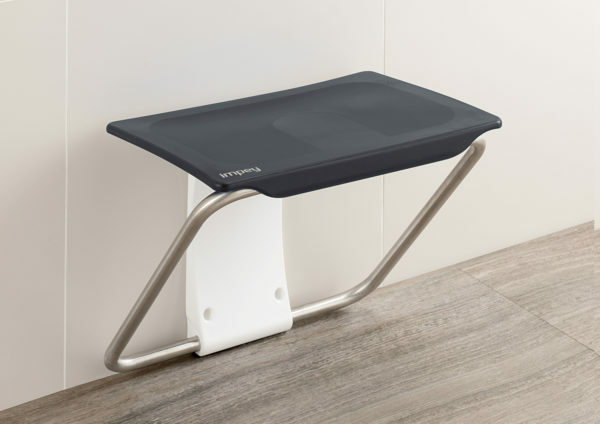 If you are looking for modern design, combined with excellent quality and ergonomics, then the Slimfold shower bench will fit the bill! 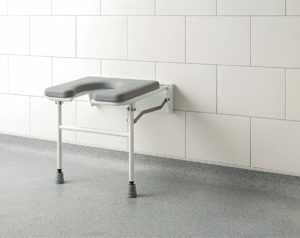 Available in a range of beautiful colours, the Slimfold bench will complement any bathroom decor. 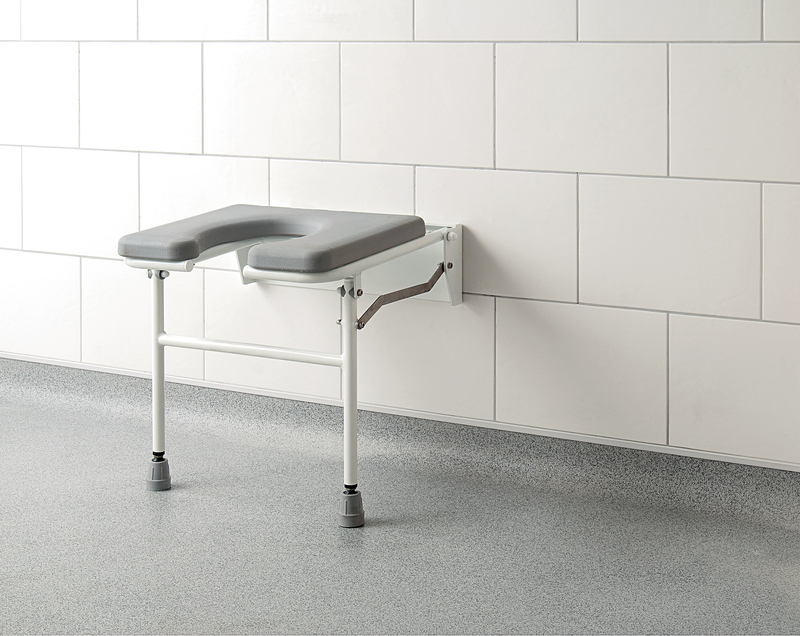 The Slimfold is an ultra slim fold down bench which sets a new standard in shower seating. When you have folded it up, the Slimfold shower bench projects only 68mm from the wall. 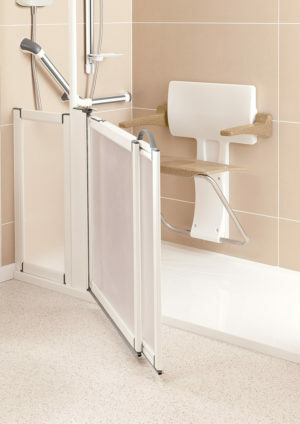 Others can then use the shower without obstruction. 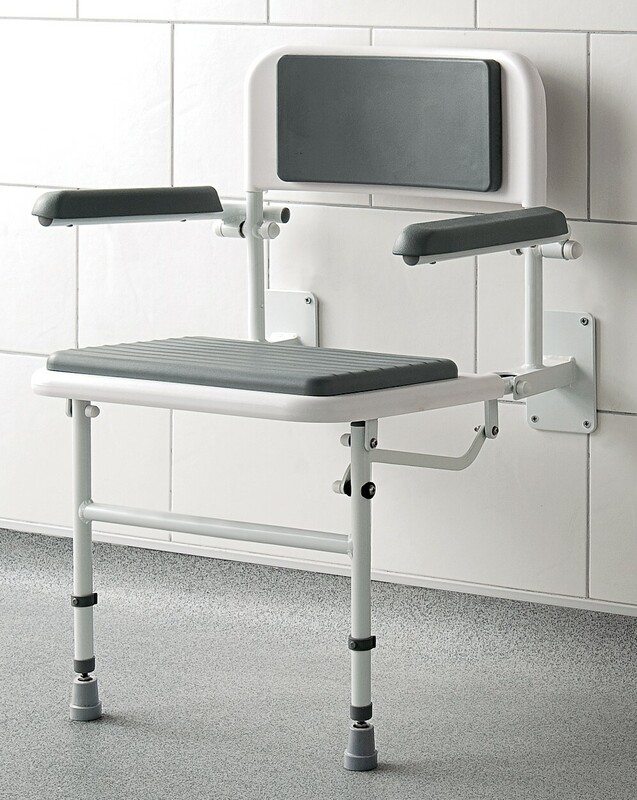 You’ll find the smooth rounded seat extremely comfortable and warm to the touch. At 500mm wide it offers a generous seating area. 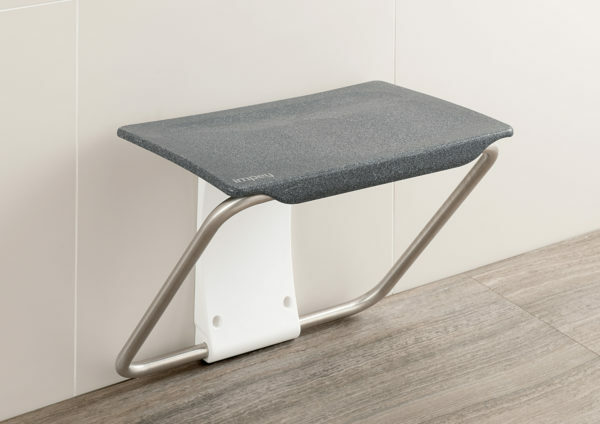 Unlike other shower benches, when the Slimfold bench is folded up you will see the top surface of the seat, not the underside. To fold the bench down into position, you pull the lower edge of the seat. The rear of the seat will then slide down into position. In this way, it cannot accidentally drop down if knocked. The seat is slightly inclined towards the back to avoid “puddling”. Water simply runs off after showering. 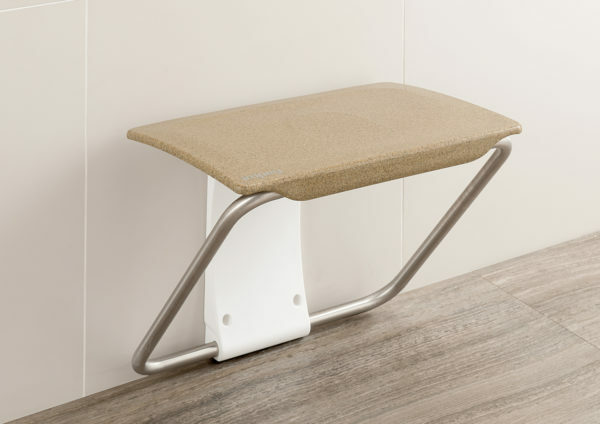 The Slimfold bench is entirely wall mounted. 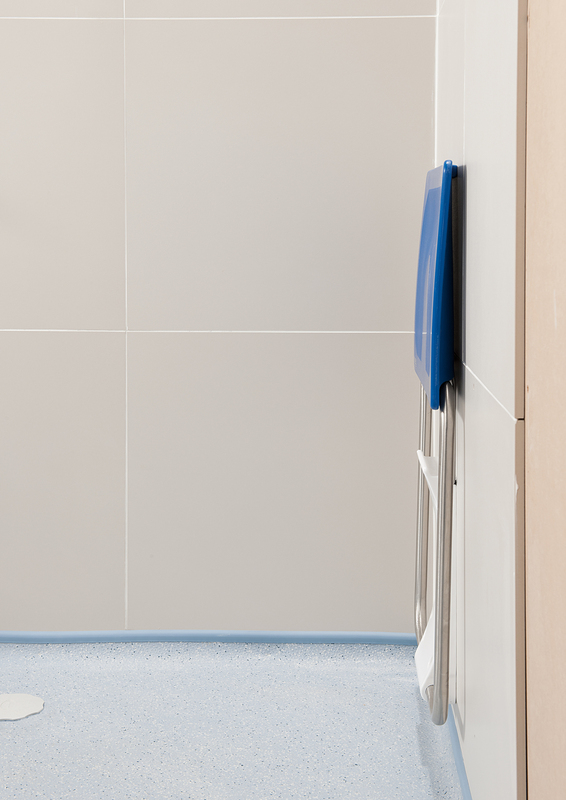 There are no legs to hinder your feet or damage the floor. You can mount the seat as low as 417mm if you wish. 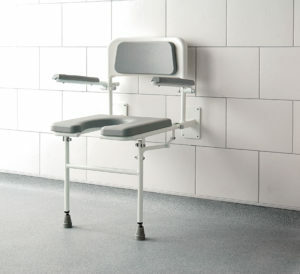 With a maximum user weight of 300kg, you can be assured that this seat is built to last! 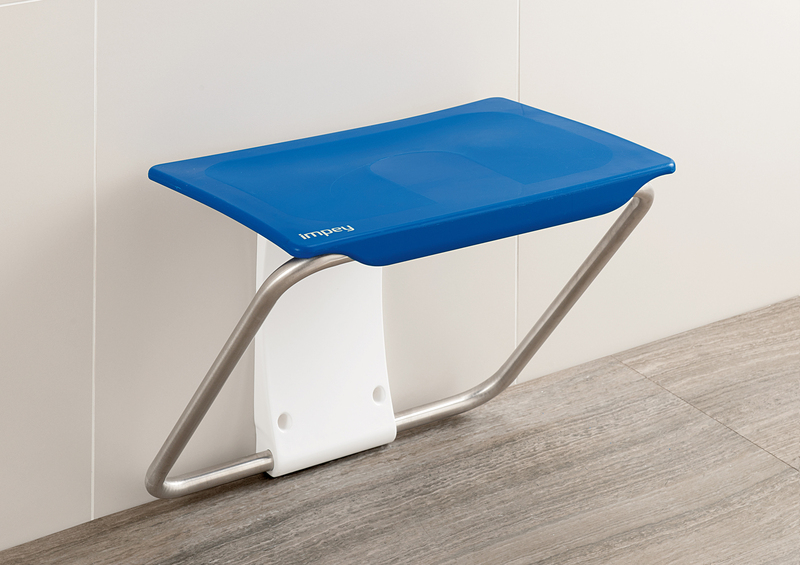 The support frame is made of long lasting stainless steel. The Slimfold bench benefits from a Lifetime guarantee. 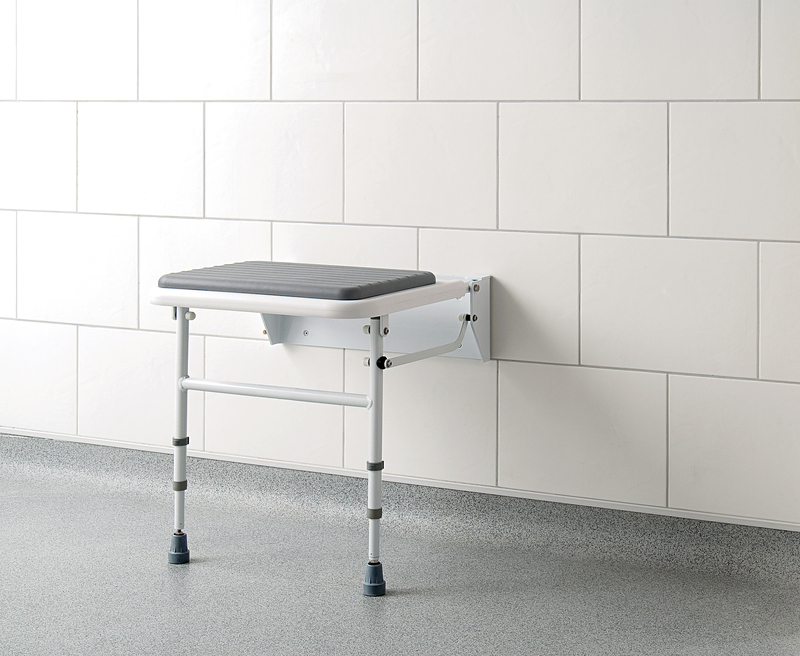 The Slimfold shower bench should be installed by a competent person, who should assess the wall for suitability and use appropriate fixings. 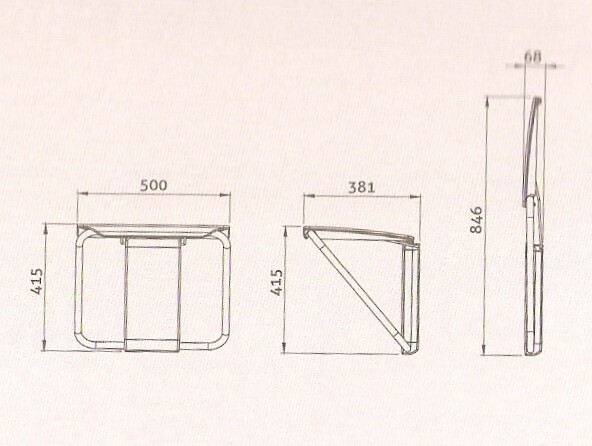 The fixings are not supplied with the bench. 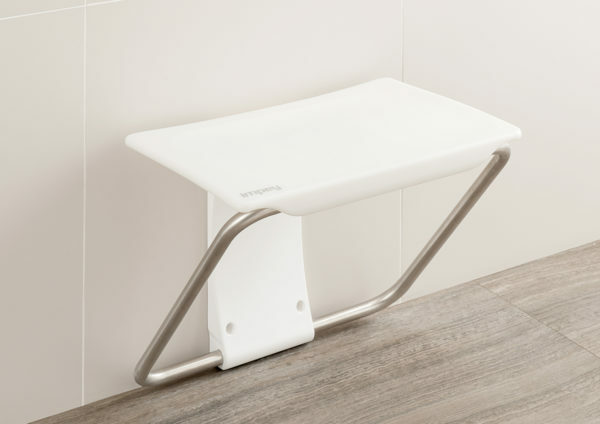 Slimfold shower bench – Modern design for modern bathrooms! 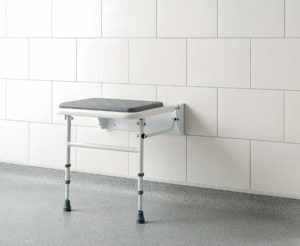 Deluxe horseshoe padded shower bench. Deluxed padded fold down seat with horseshoe cutout. Fold up arms. Deluxe fold down shower seat with arms and back. White and grey.